Do you ever “lose” an online resource? I played this Counting Bricks game before Christmas and forgot to bookmark it! I failed to locate it in the history on my work p.c and spent the last 30 min online trying to locate it. Frustrating! I had only played it once before and couldn’t remember anything apart from builders and bricks! It is a really fun game for Junior or Senior Infants to play. I really love that they whistle as they wheel their barrows! Counting bricks had a definite appeal to the boys in my class when we played it. I know that I harp on about this but most online games seem a bit “girly” to me. So few of them set out to capture the attention of boys. Counting bricks is a wonderful game to demonstrate the connection between concrete (objects)and the abstract sum. Just wait and see. It is soooooo clear! Just in case you are curious about the cause of my frantic searching for this game I thought I would clue you in. Developing early mathematical concepts requires lots of “hands on activity” to take children from counting from rote memorization to an understanding of number operations. 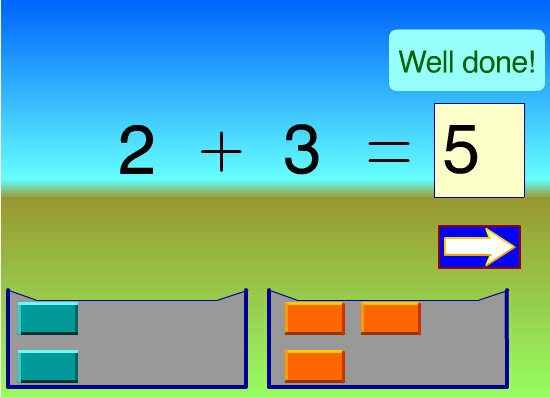 the blocks are colour coded so we can see the correspondence between 2 bricks in the first pile and the numeral 2 at the start of the sum. I also love that this game isn’t timed. I can leave it on the whiteboard or PC for as long as I need to explore the concept. 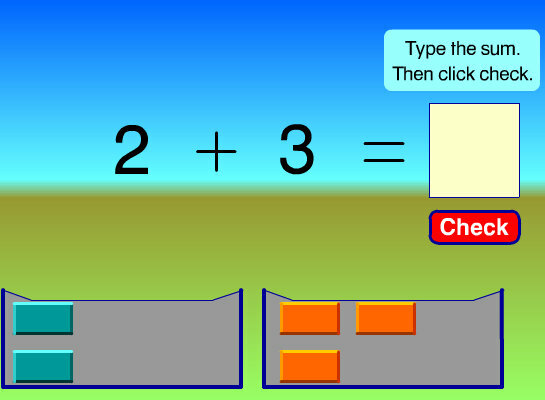 You have could have your pupils join in “building the sum” with Unifix cubes or “counting on” using their number line for example. The number name given to the last object tells you how many objects you have counted in total. To recognise small numbers without counting them. When children well developed skills we should encourage them to “count on”. 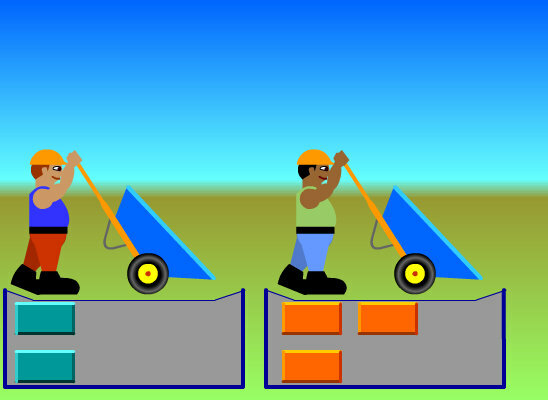 If they can instantly recognise that there are 2 bricks in the first set they can “count on” from this for the second set “2, 3, 4, 5″ rather than counting each brick individually starting from one. I would expect Senior Infant children to be able to “call out” most of the sums in this game without the need to “count” the bricks. They should be able to recognise the numbers and simply say “3 and 2 makes…”. Being able to give the answer by subitising would be great too, if not allow them to count the bricks by touching them in one-to-one-correspondence. I hope that you found this post useful . I know that my class will be playing it tomorrow. Will you? !